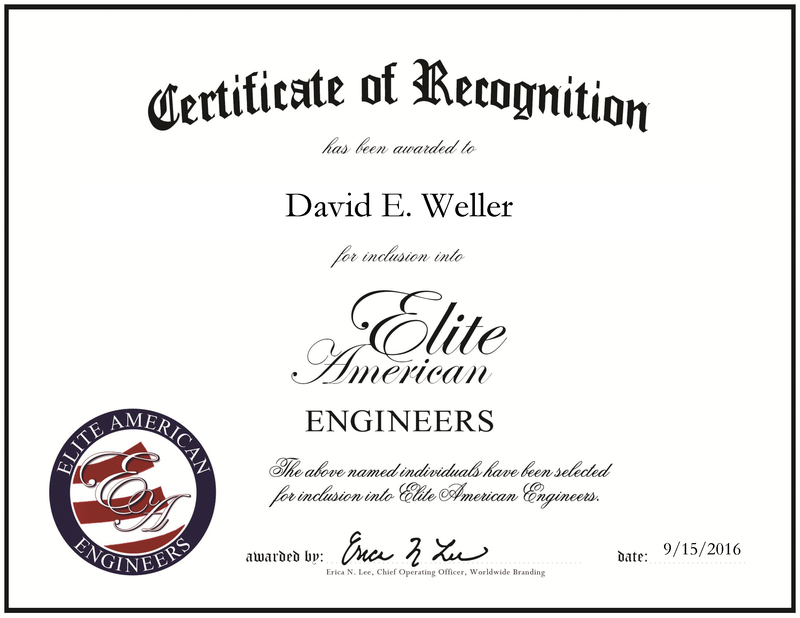 Baton Rouge, LA, September 15, 2016, David Weller, Mechanical Maintenance Coordinator of BCP Engineers & Consultants, has been recognized by Elite American Engineers, for dedication, achievement and leadership in nuclear power. As a mechanical maintenance coordinator, Mr. Weller is responsible for a number of tasks that help the company provide excellent service. He is responsible for coordinating and scheduling work for the mechanical maintenance department, planning and implementing major projects, performing constructability and operational impact reviews on design packages to ensure installation in the most efficient amount of time. He helps enhance plant operation, oversee the EPC contractor during major construction activities and uses software to coordinate projects. Mr. Weller has more than 30 years in the nuclear power industry and is licensed by the NRC as a reactor operator. He schedules projects of up to and over $1 billion and is the lead outage planner for shortest BWR 6 refueling outage. His introduction to the industry was in 1984, where he worked as an equipment operator for Entergy Corporation. Through the years, he gained various certifications and higher positions. Additionally, he is the Captain of the Saint Francisville Fire Department and a firefighter with District Number One of West Feliciana Parish. This entry was posted in OIl & Energy and tagged engineer, mechanical maintenance, nuclear power, plant operation, project management. Bookmark the permalink.